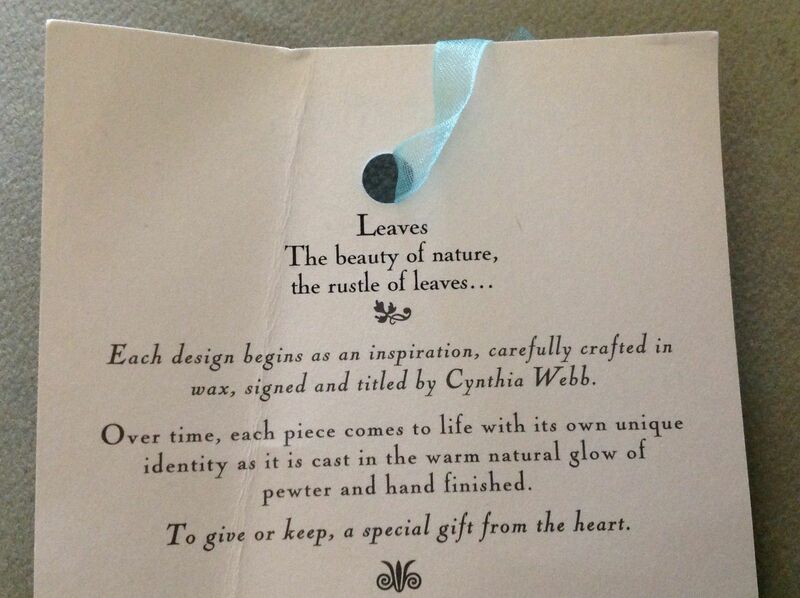 Each design is hand crafted first in wax before the master is cast. 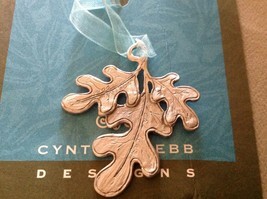 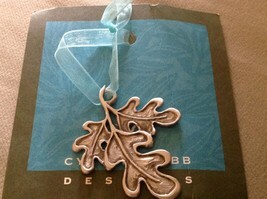 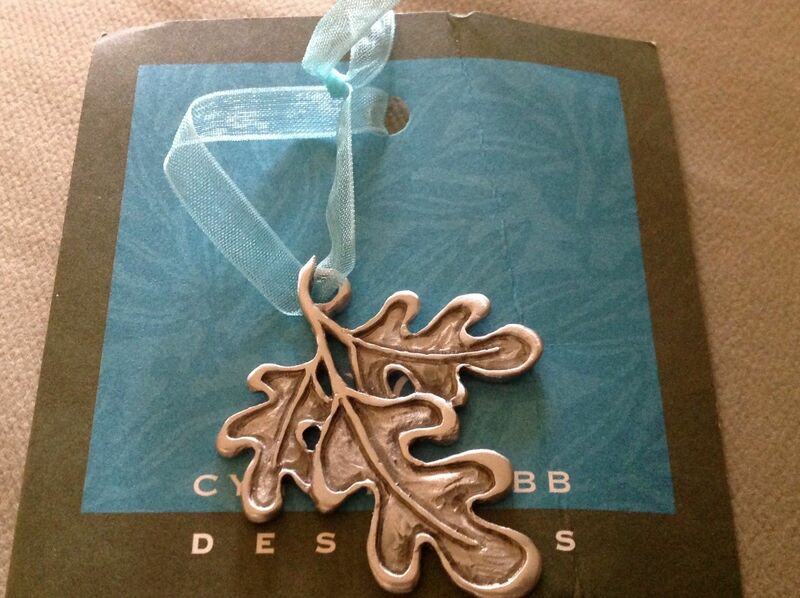 Adorned both front and back, the front shows the detail of the oak leaf, the back is also tastefully engraved. 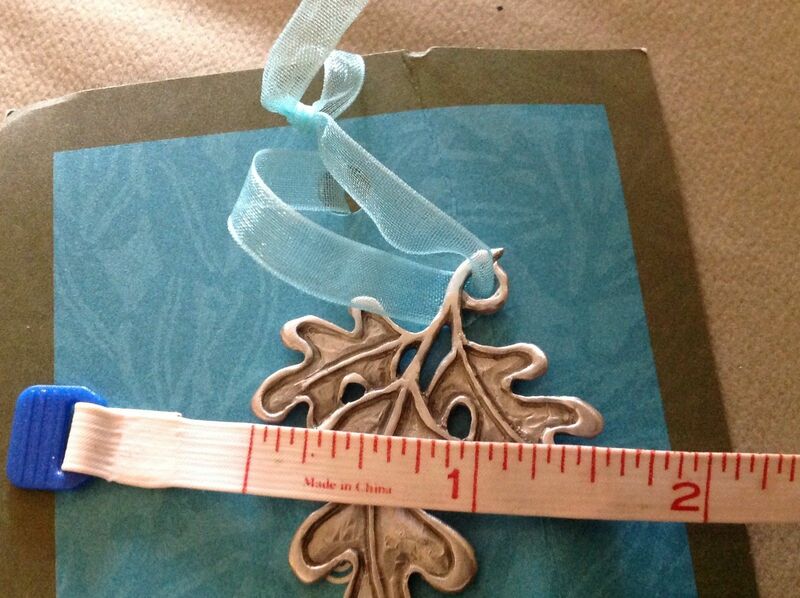 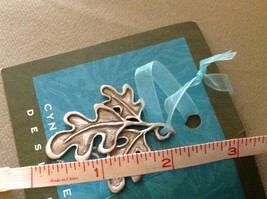 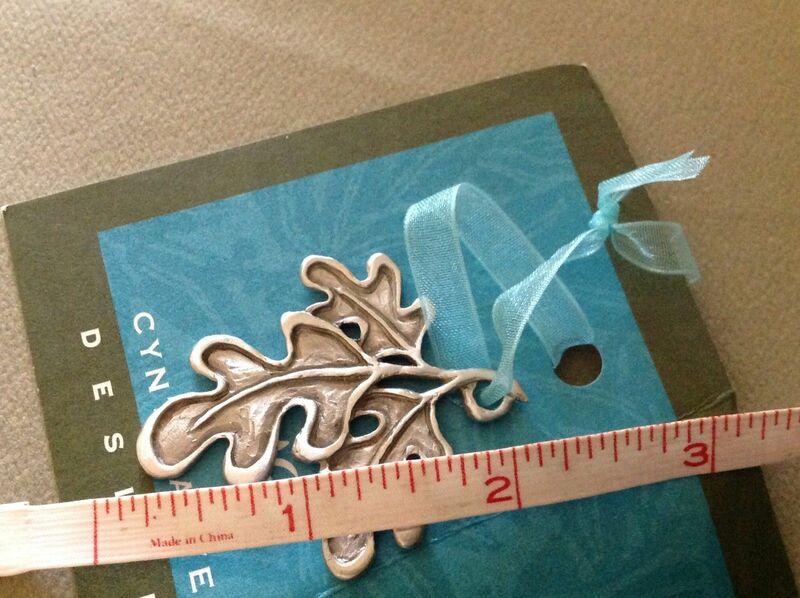 Measures approximately 1 1/2 inches wide and is 2 inches long. Comes on a dainty blue organza ribbon.